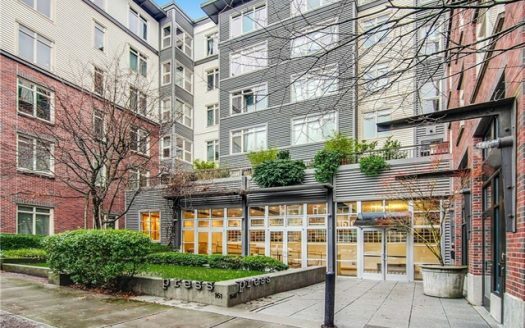 If you want to live in Downtown Seattle on the waterfront, there’s only one option: Waterfront Landings. 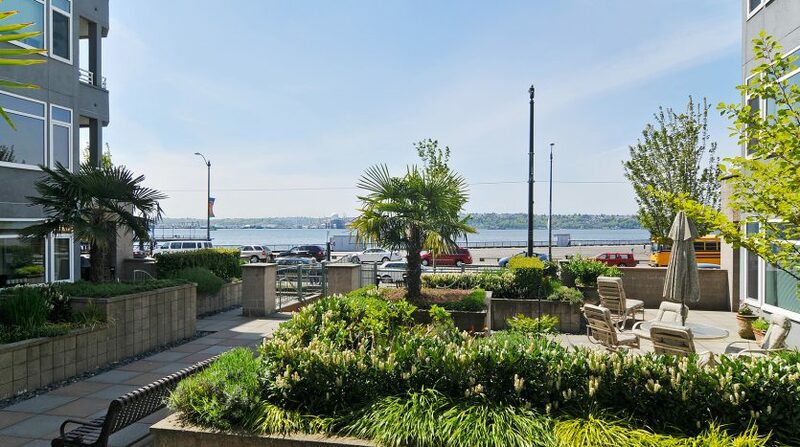 With the water right outside your door step, Pike Place Market just up the street, the shops and restaurants on the waterfront and along Western at your finger tips, this is truly a unique and amazing place to call home. 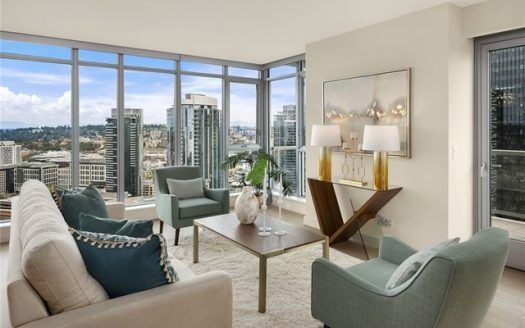 Entering Waterfront landings, you will be greeted by a 24 hour concierge, there to collect your packages, greet your guests and help you with your condo living needs. 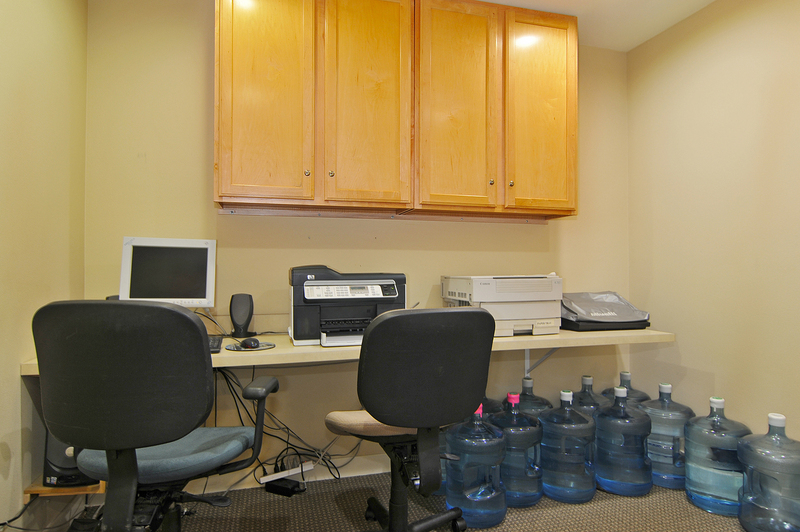 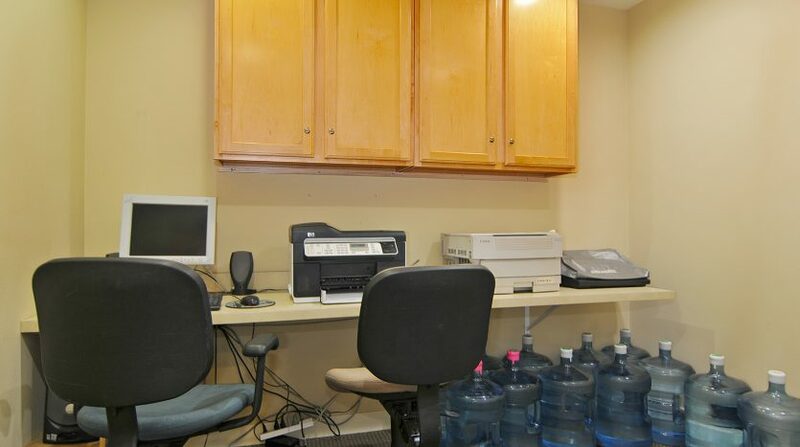 When business calls you have a business center you can pop into to get things done quickly. 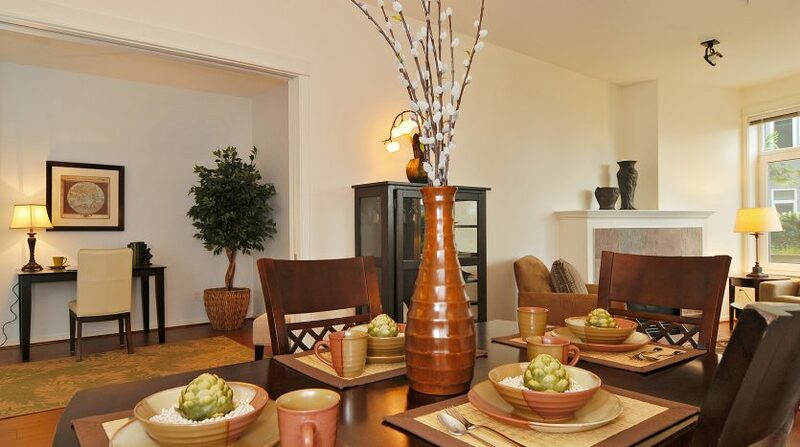 The party room with kitchen and patio are great for large gatherings and get togethers. 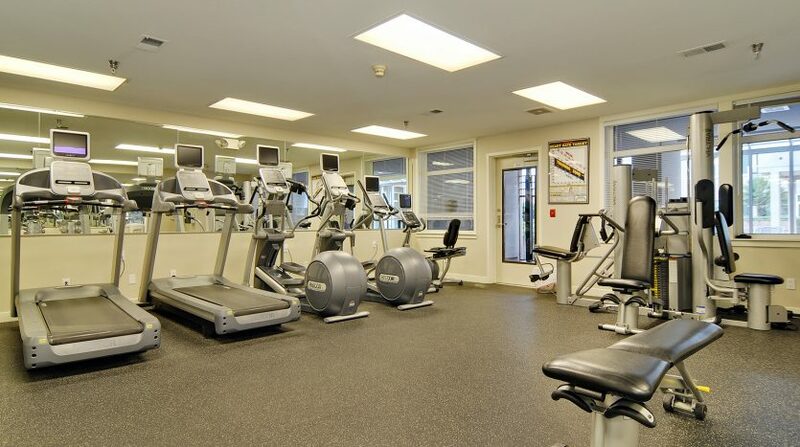 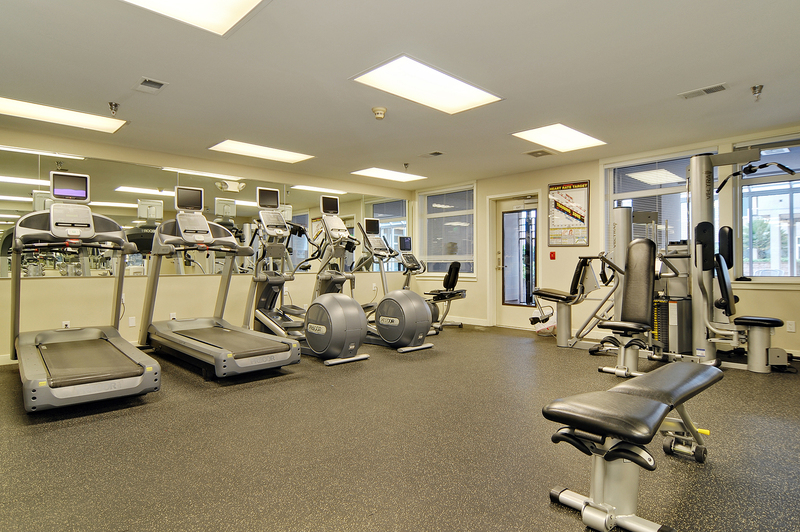 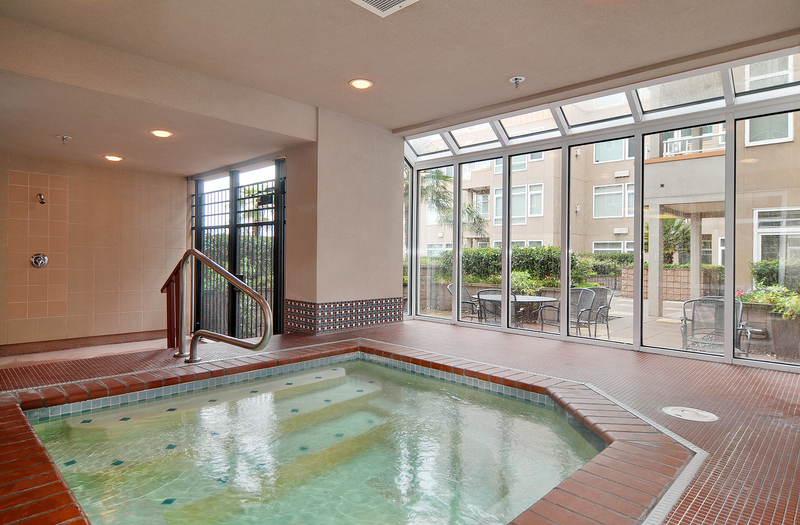 The gym negates your need for a membership elsewhere and the hot tub is perfect for a relaxing after workout or after work dip. 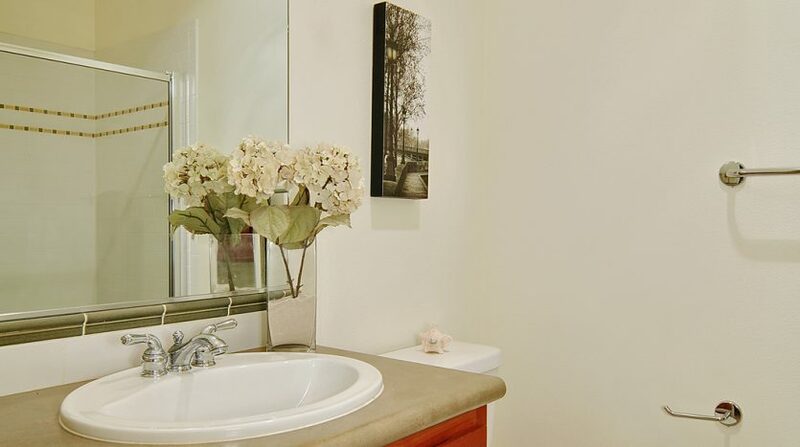 For visiting guests, book the guest suite for their stay. 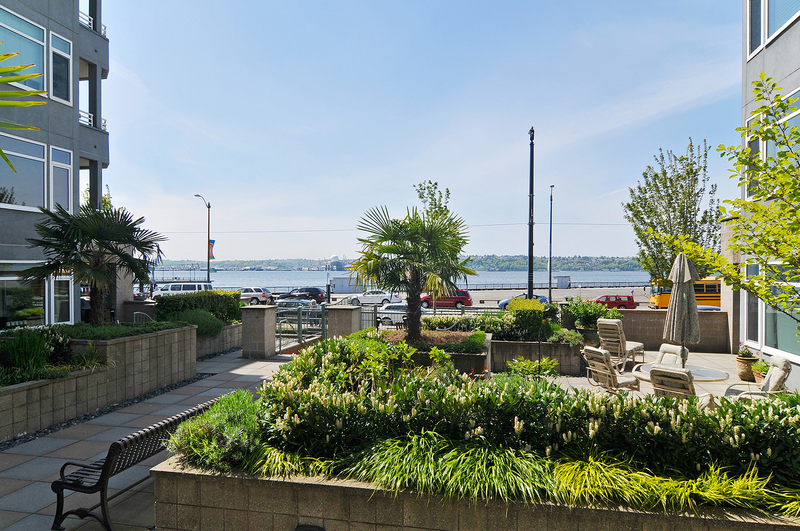 Head up to the rooftop deck for a BBQ and take in the spectacular expansive views of the Puget Sound, ferries, boats, and mountains. 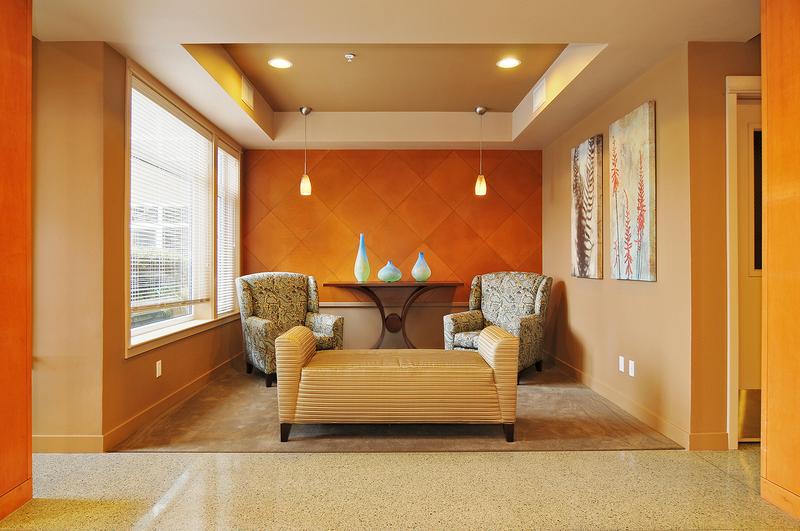 Upon entering your home in Waterfront Landings, you spill into a foyer that opens up into the kitchen, dining and living space. 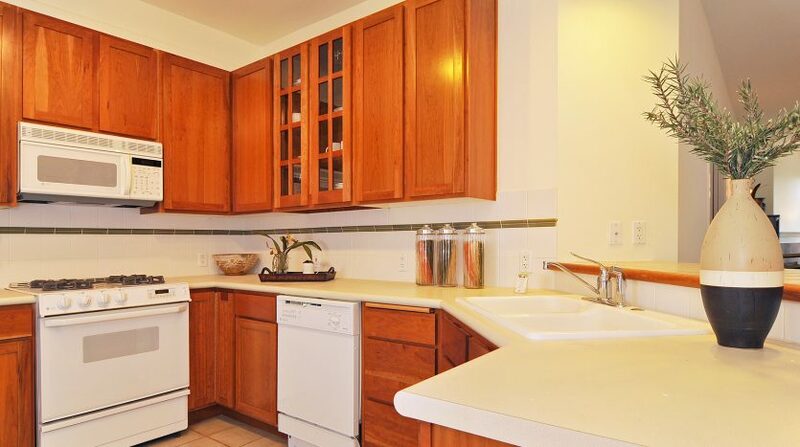 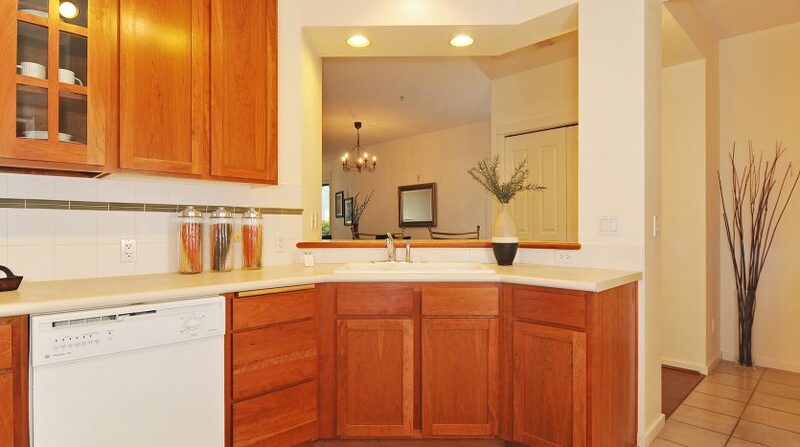 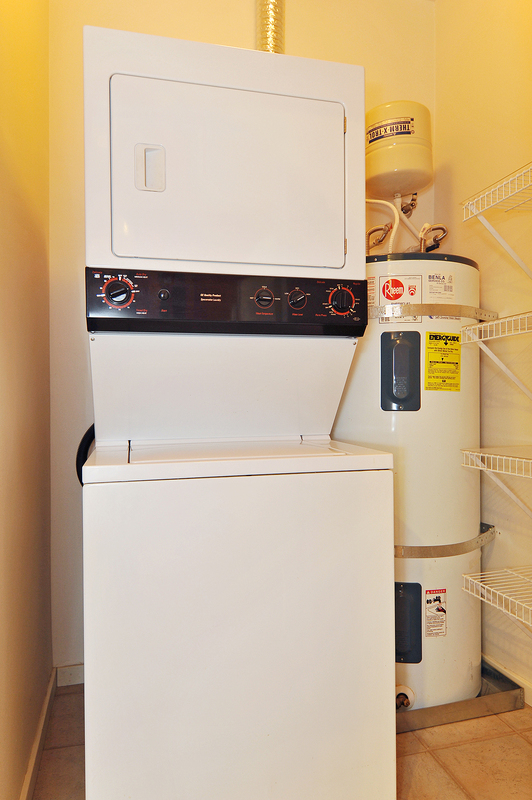 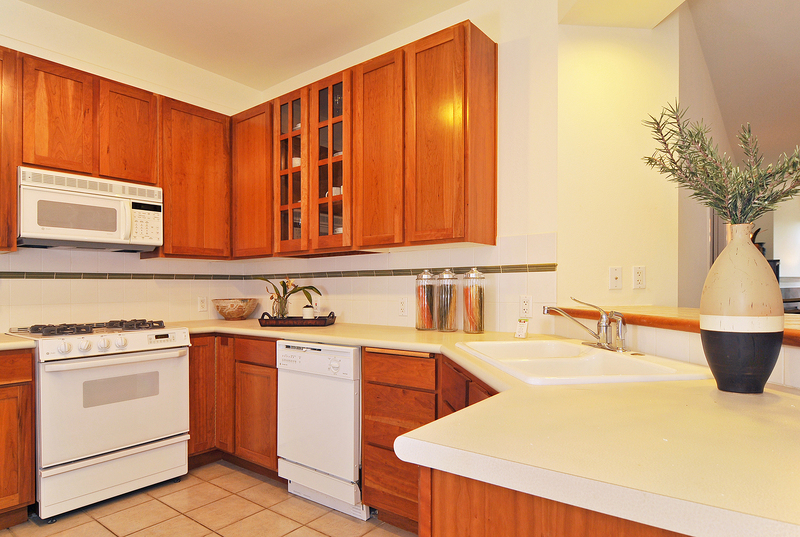 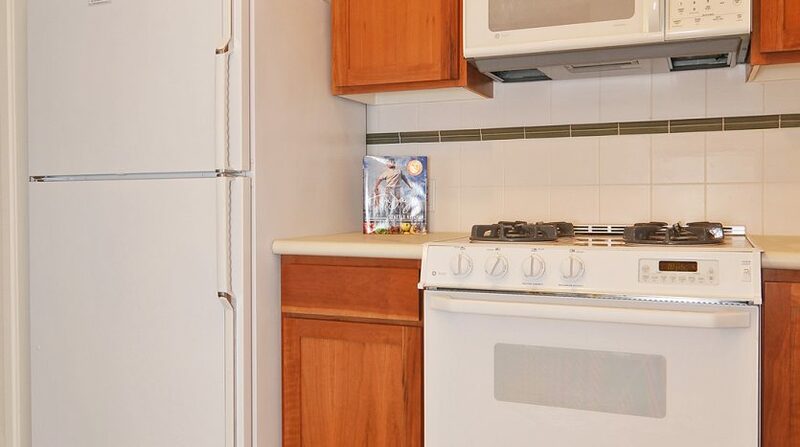 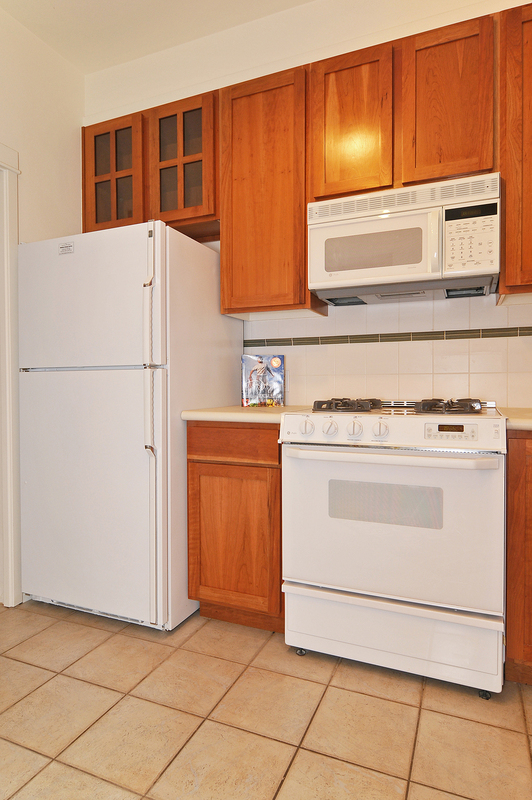 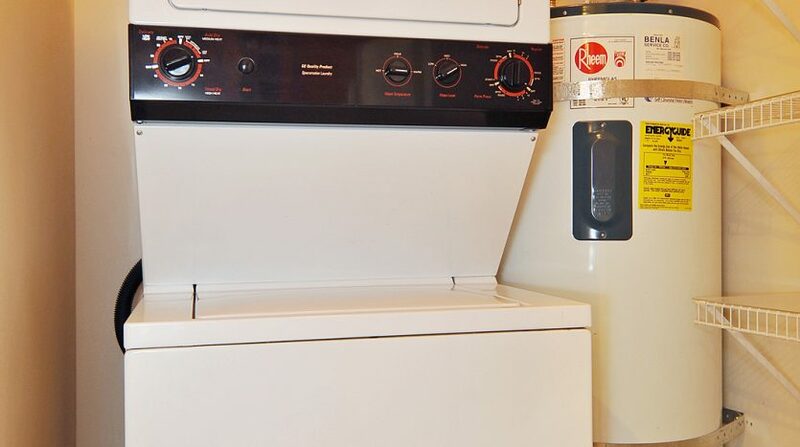 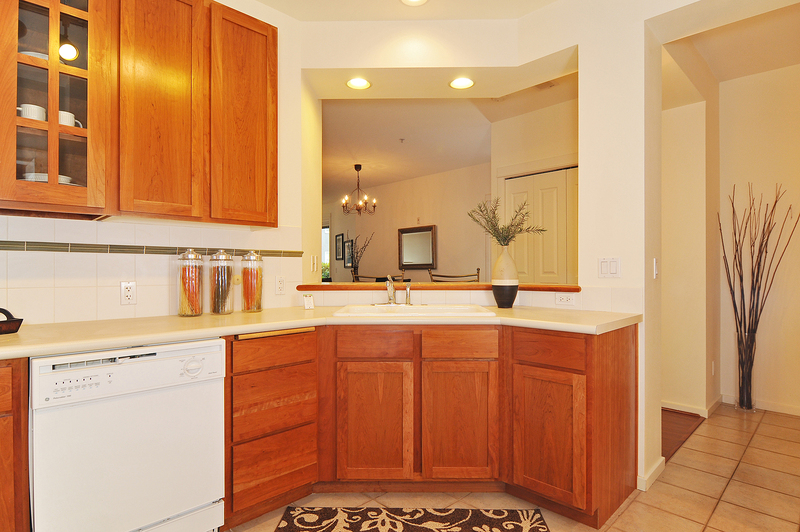 The large kitchen has an eating bar, gas cooking and plenty of cabinet space. 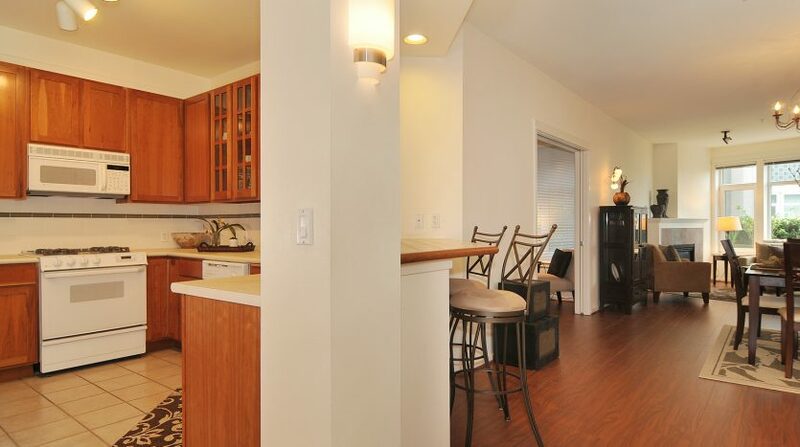 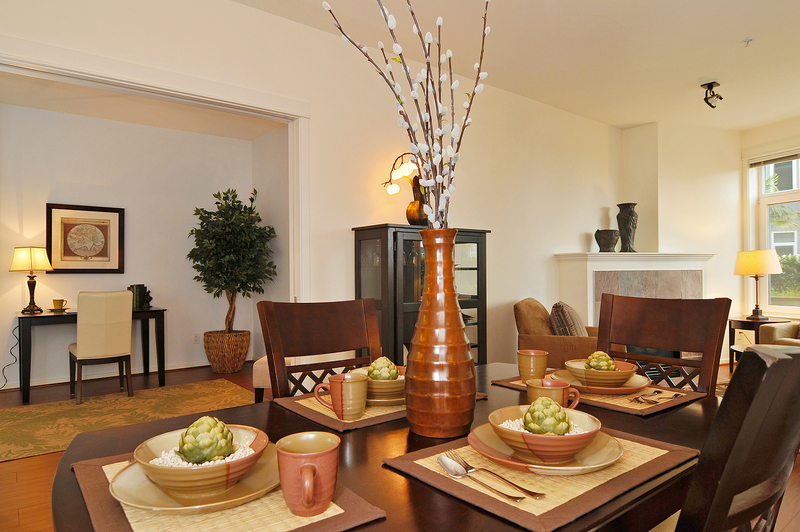 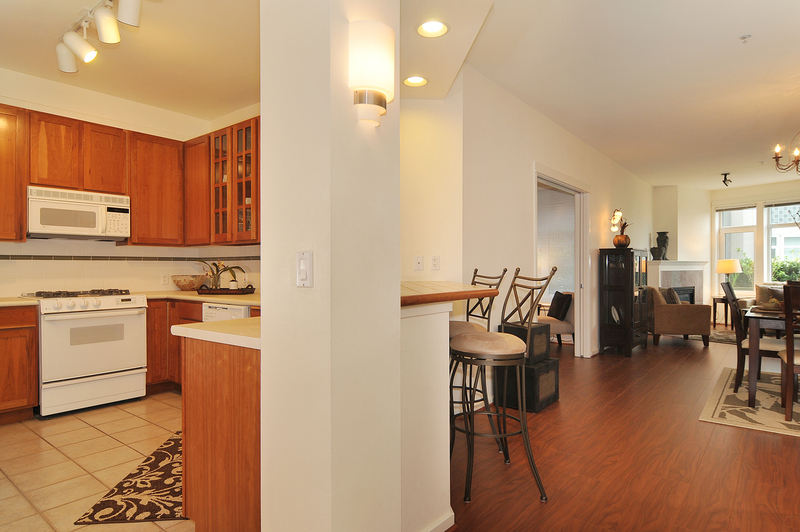 The dining and living space are open to the kitchen and have brand new hard surface flooring. 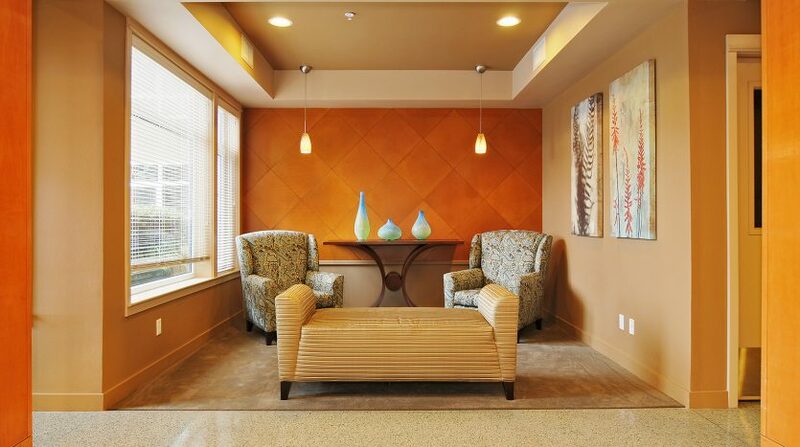 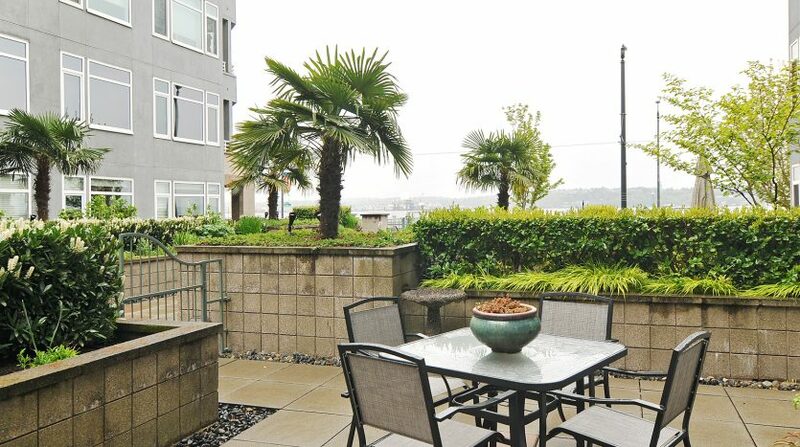 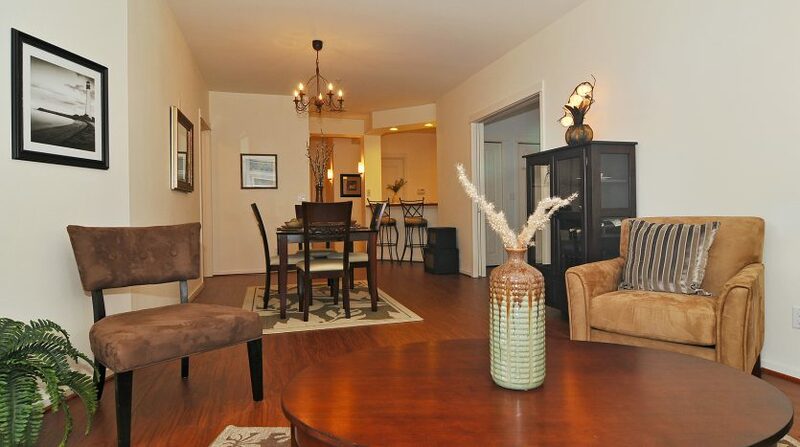 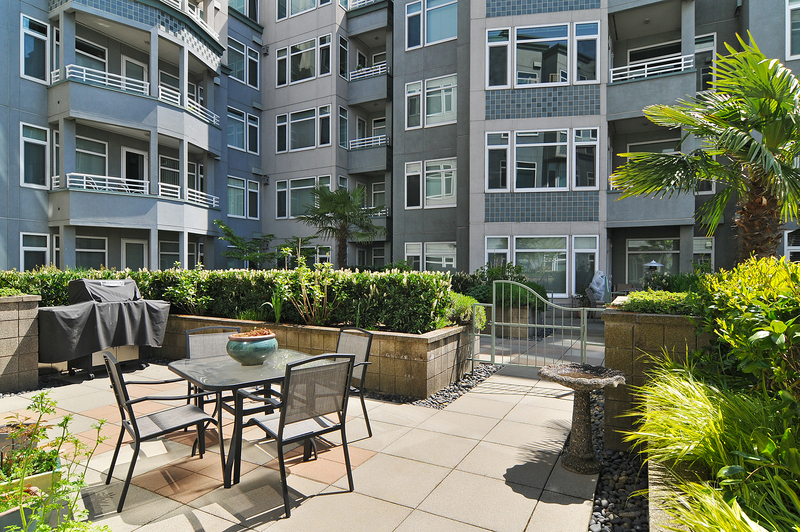 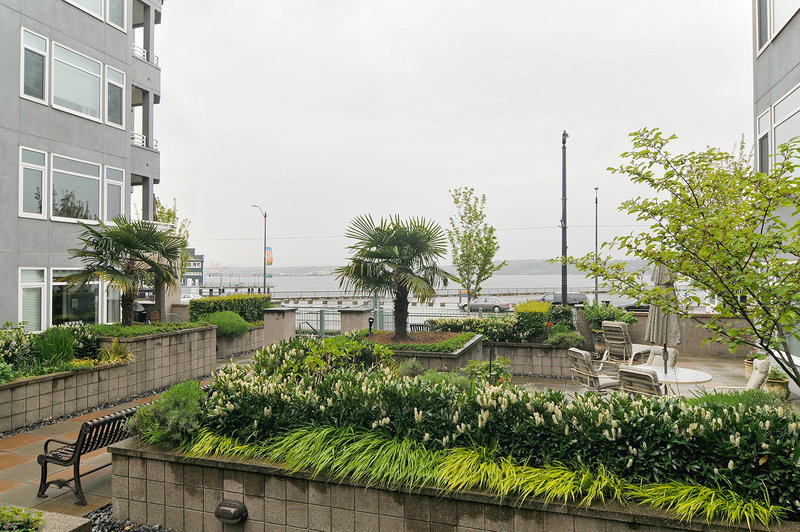 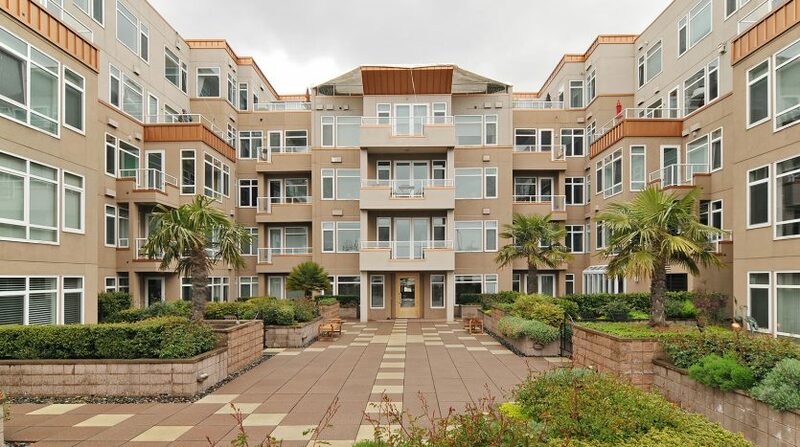 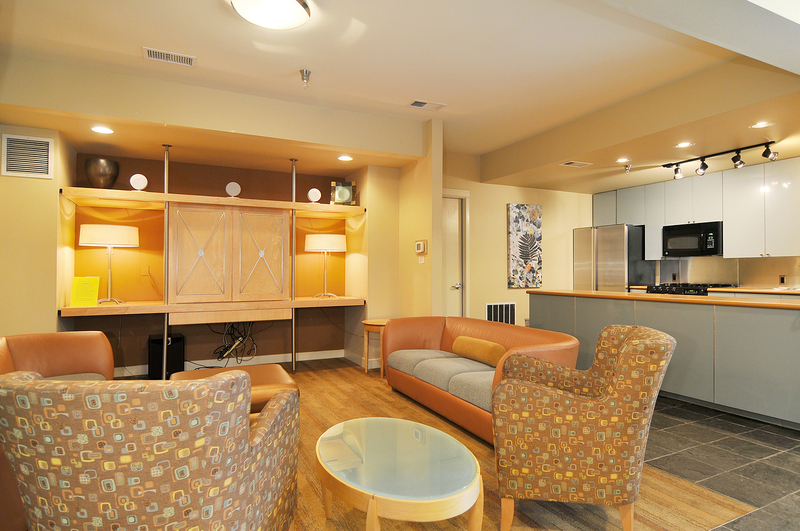 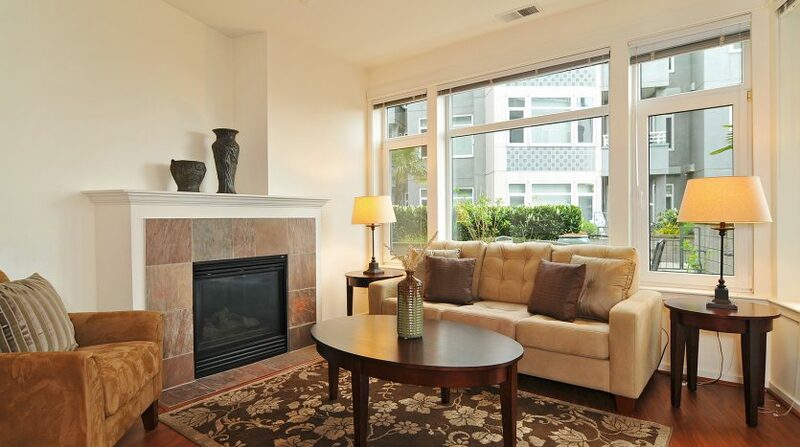 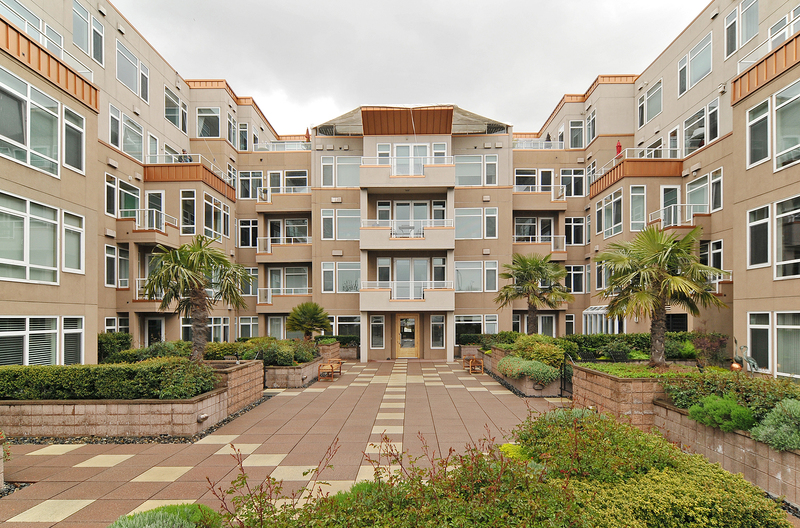 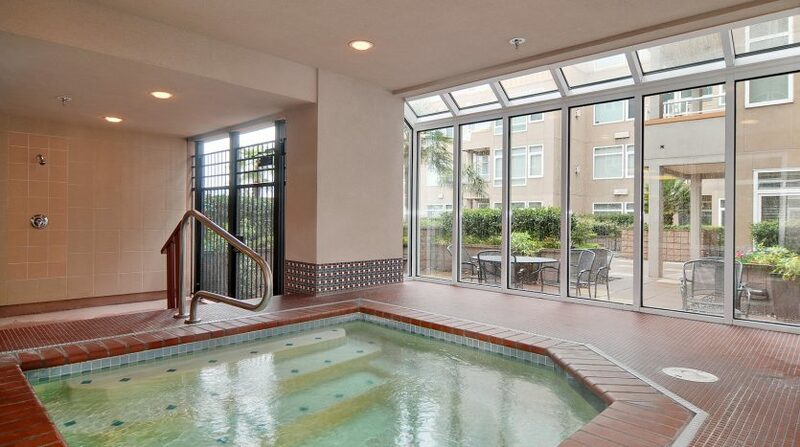 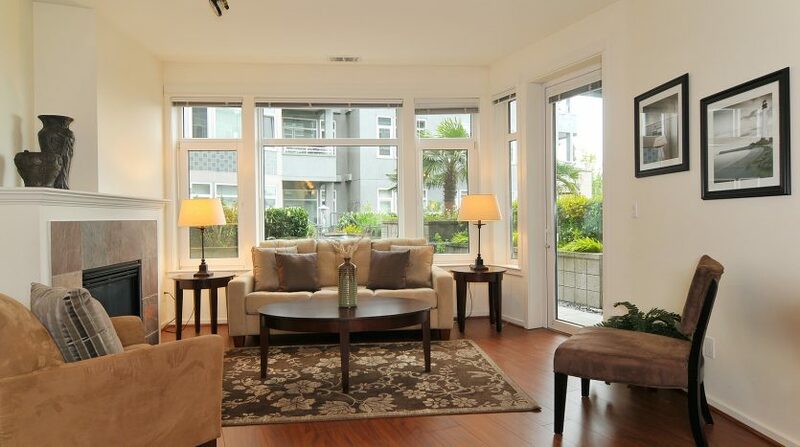 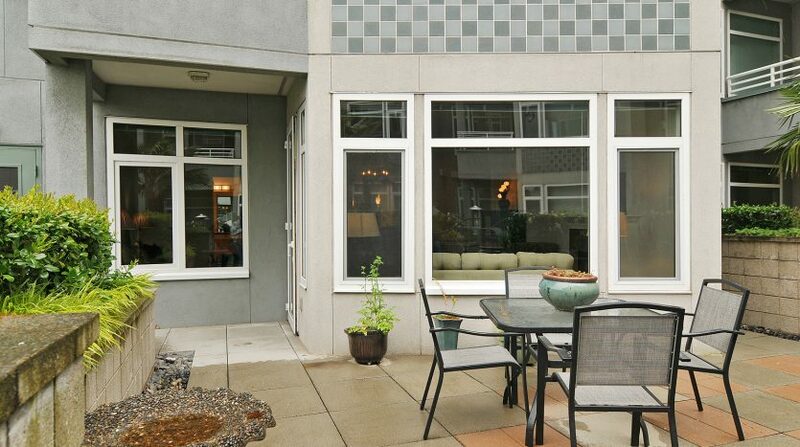 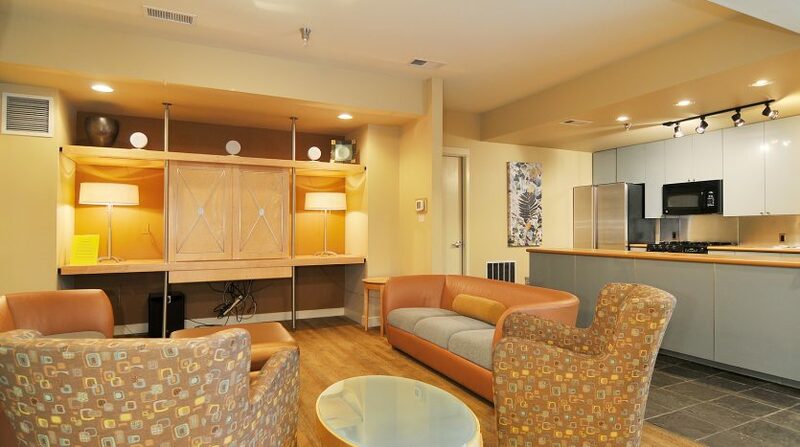 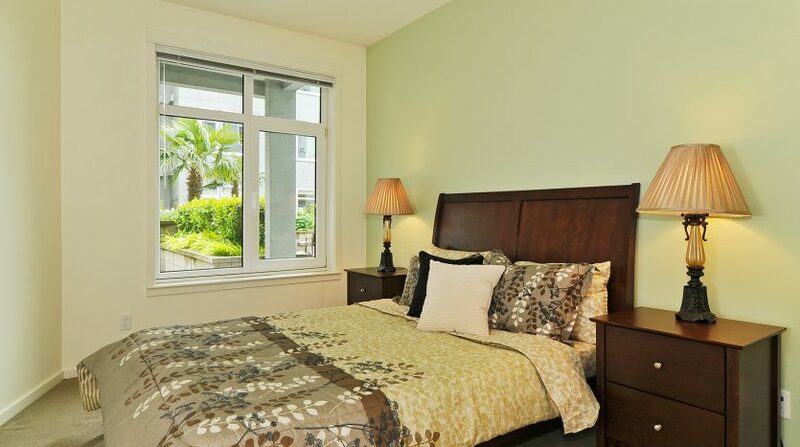 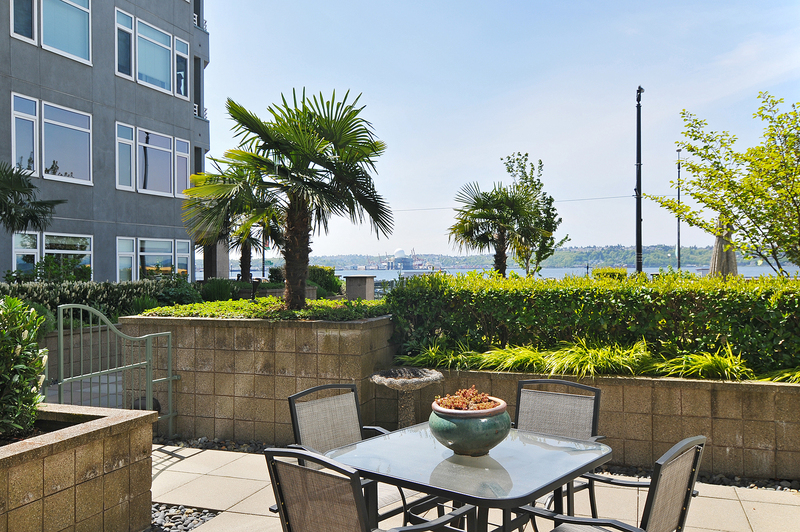 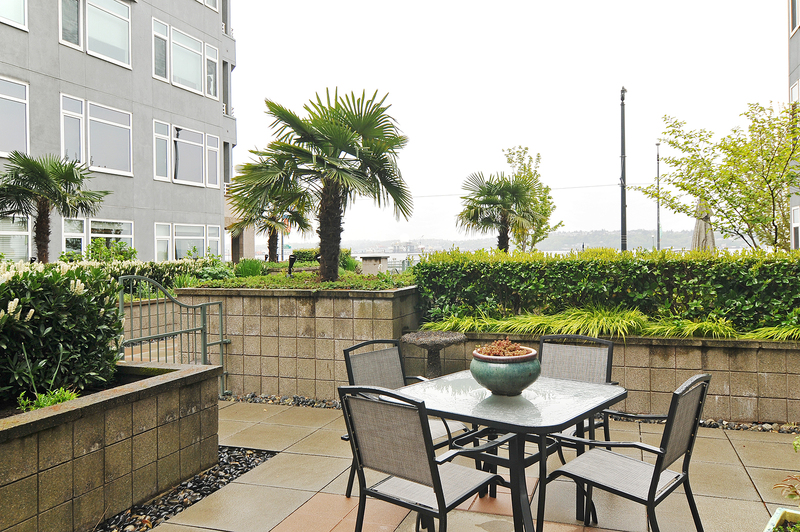 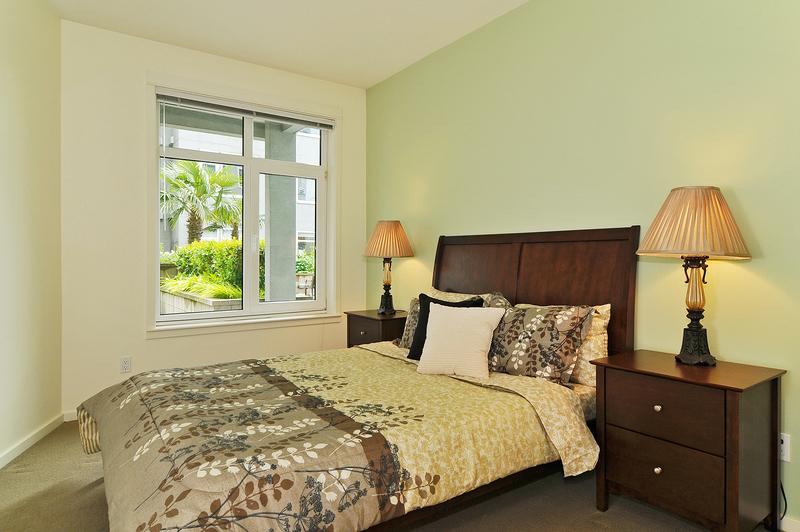 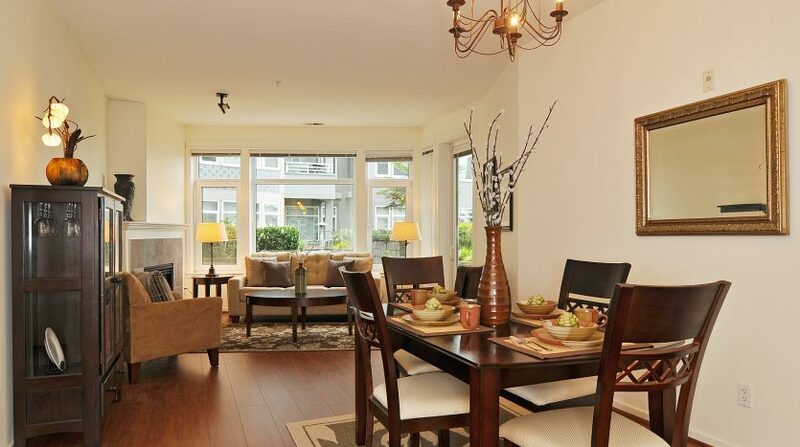 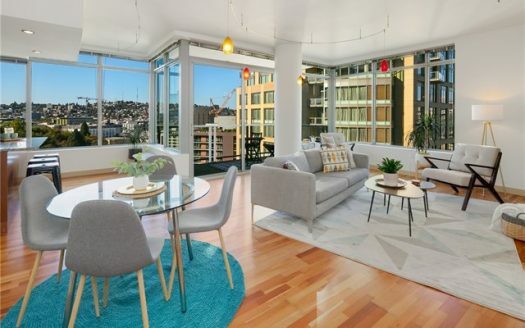 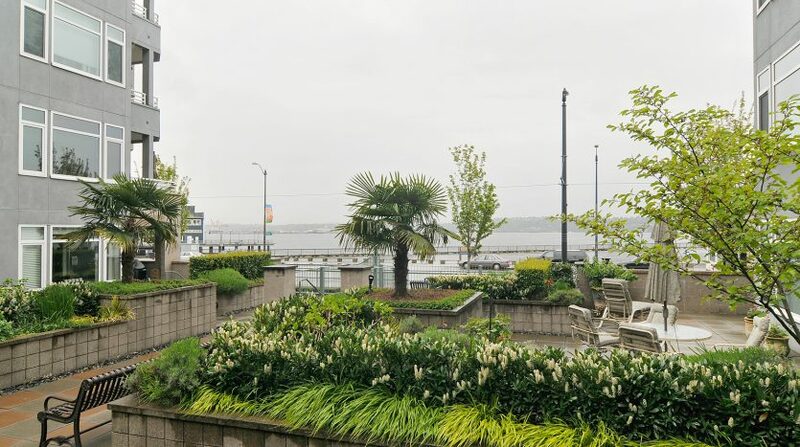 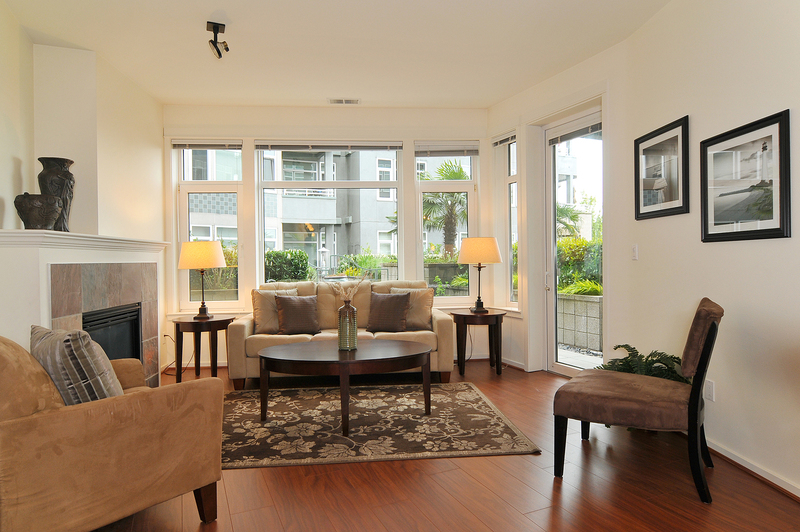 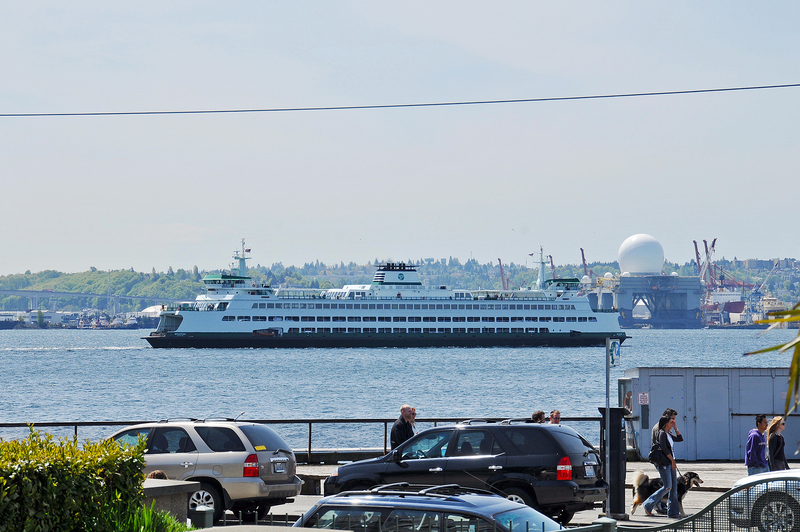 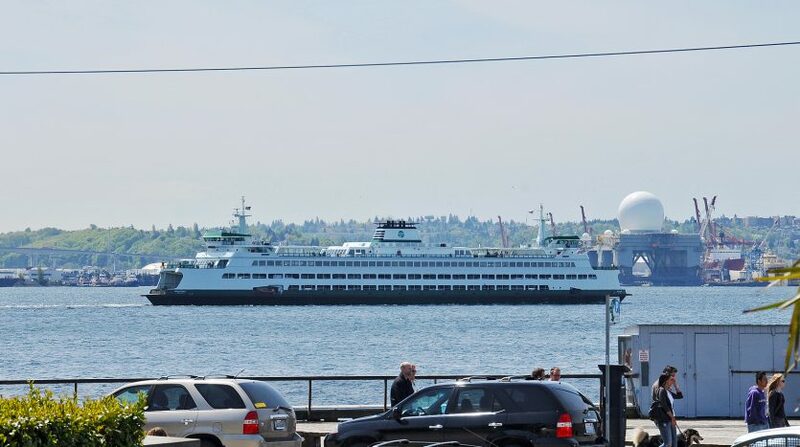 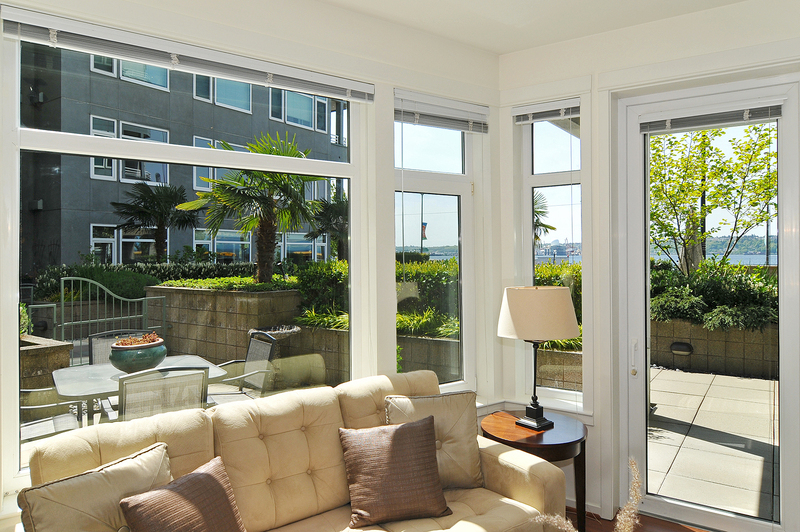 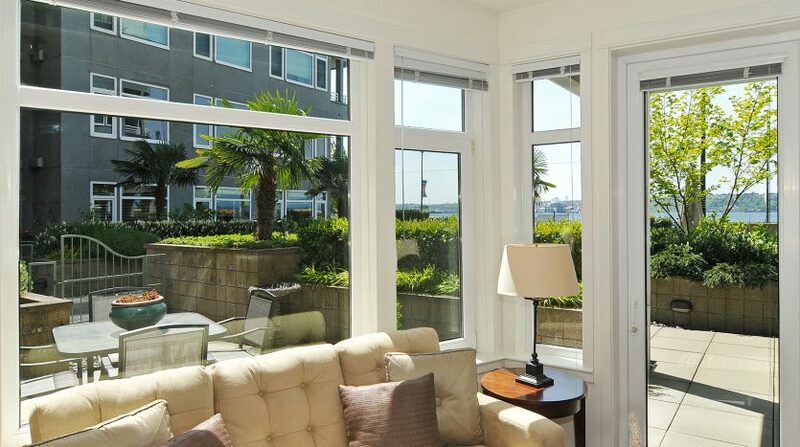 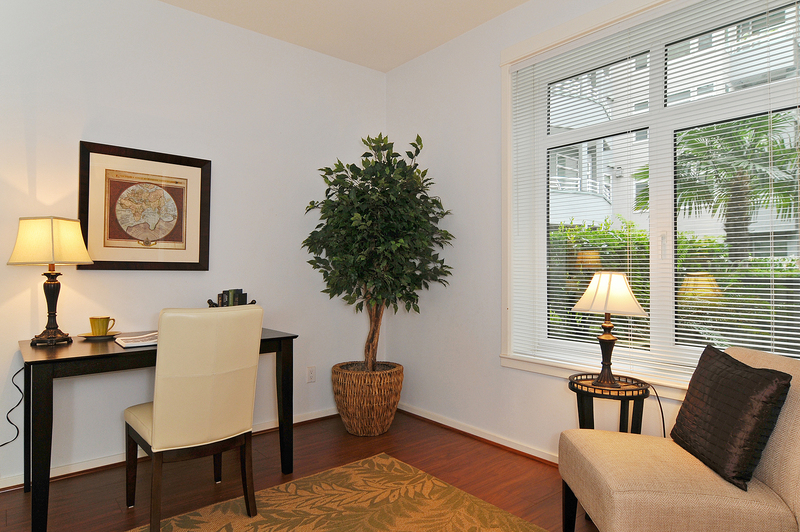 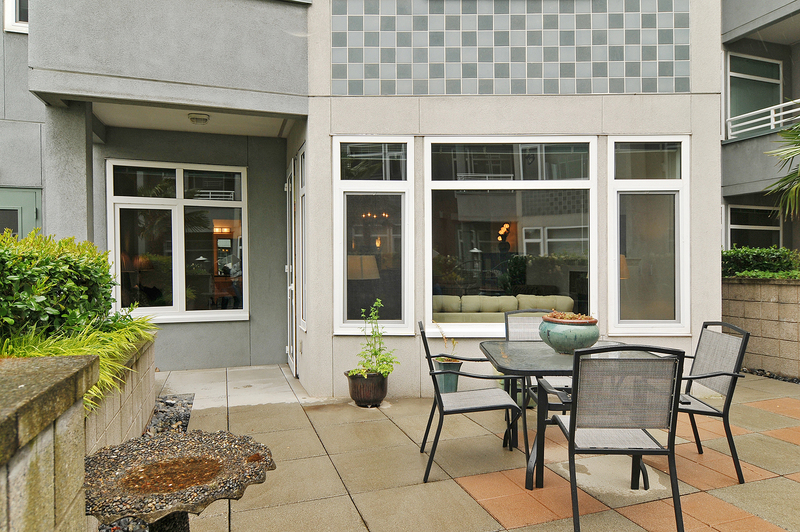 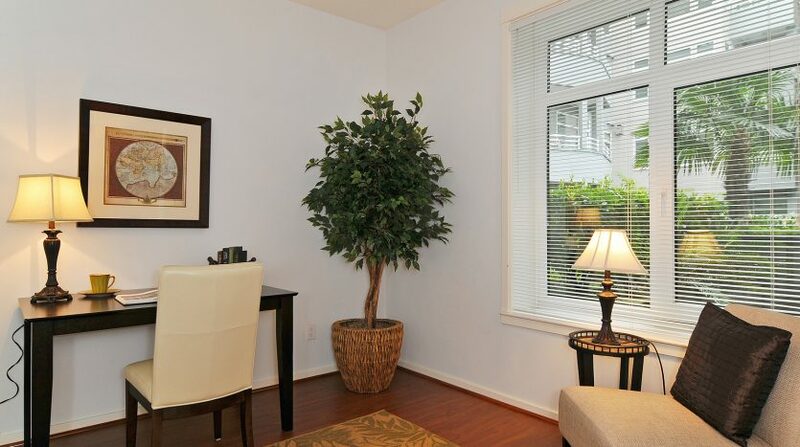 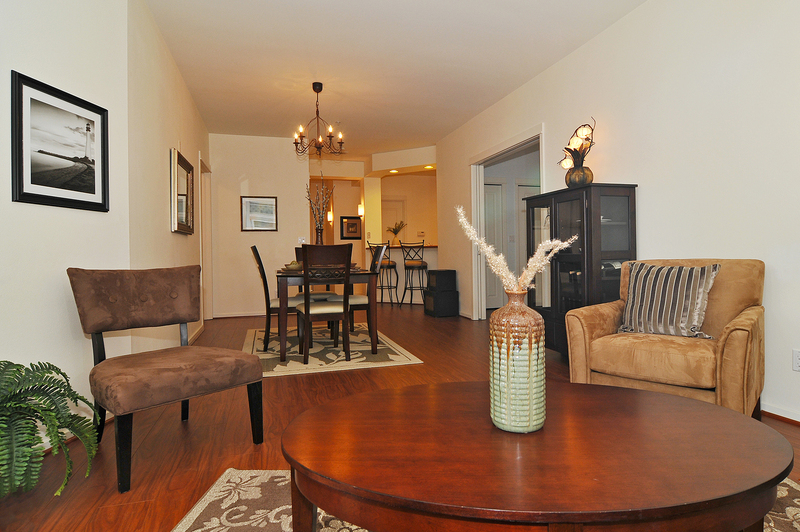 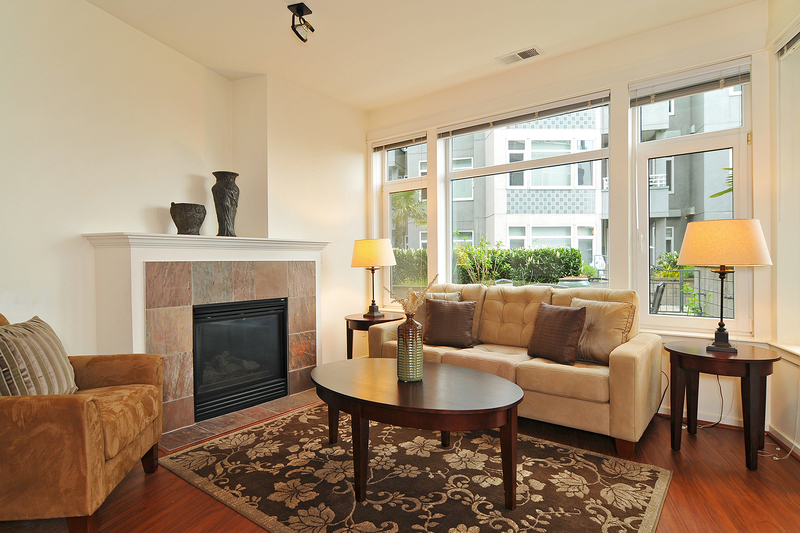 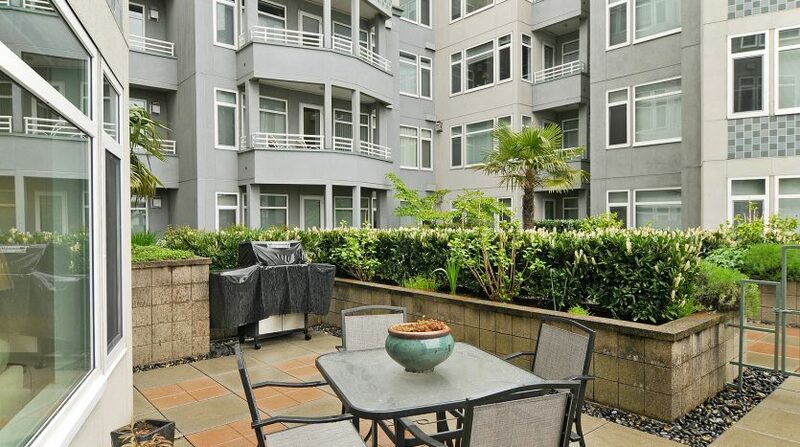 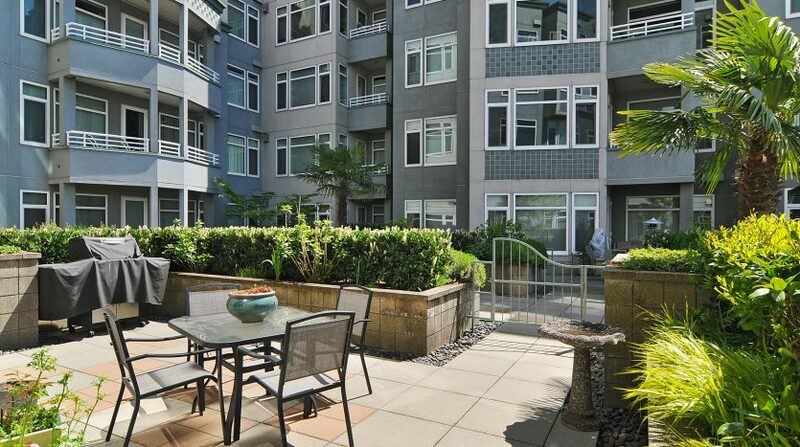 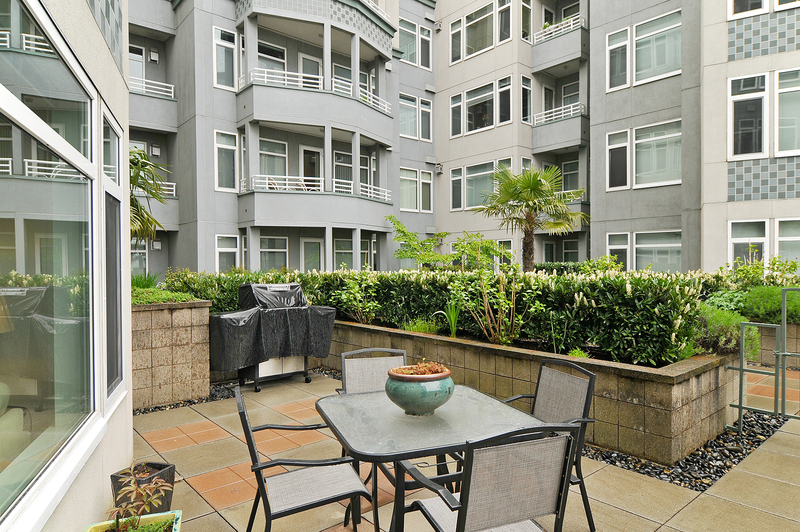 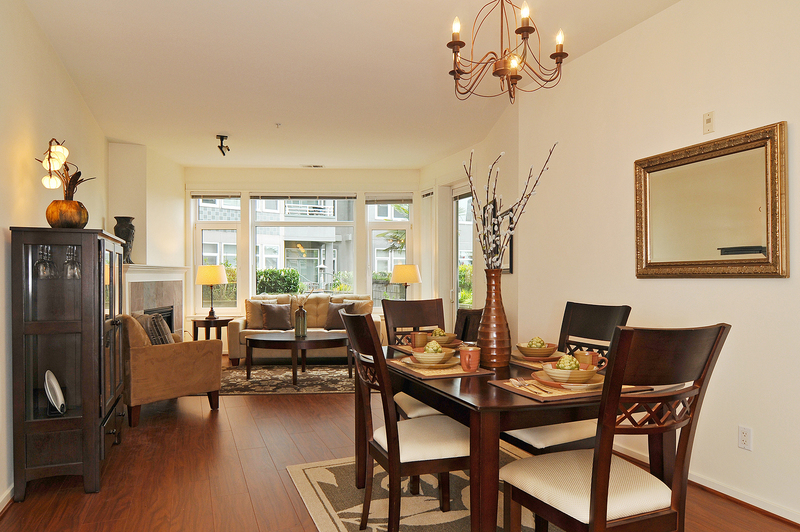 The calm and beautiful Puget Sound views from your living space will wow you. 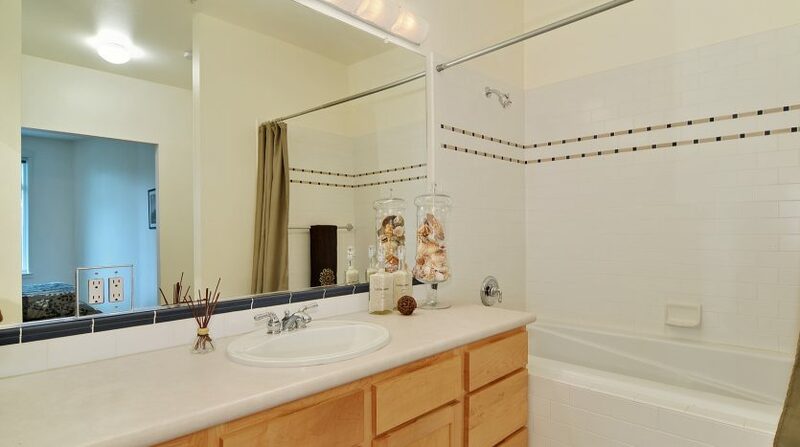 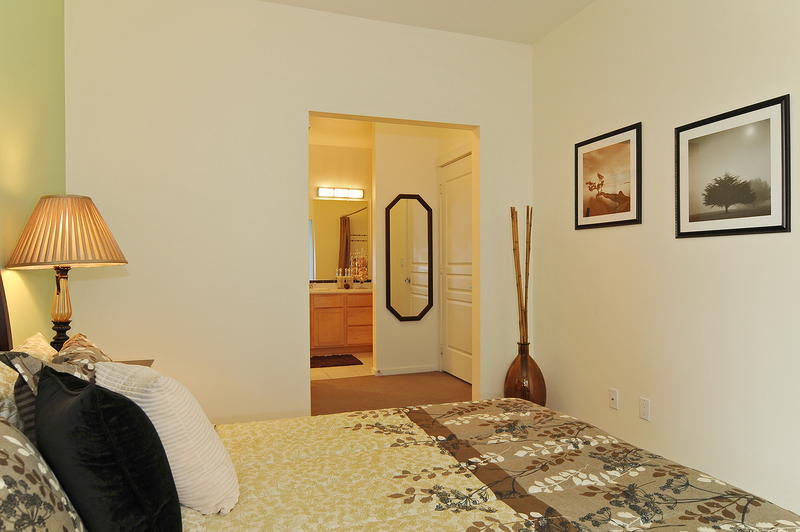 The master suite with walk-in closet and master bath will delight you. 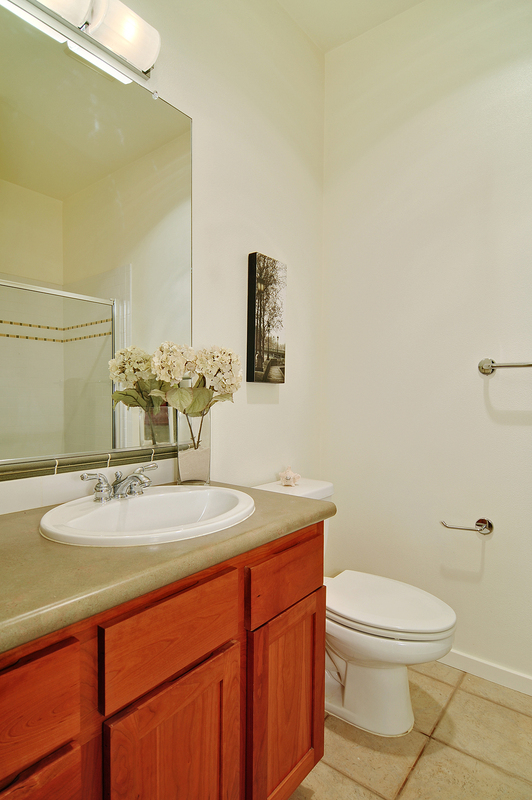 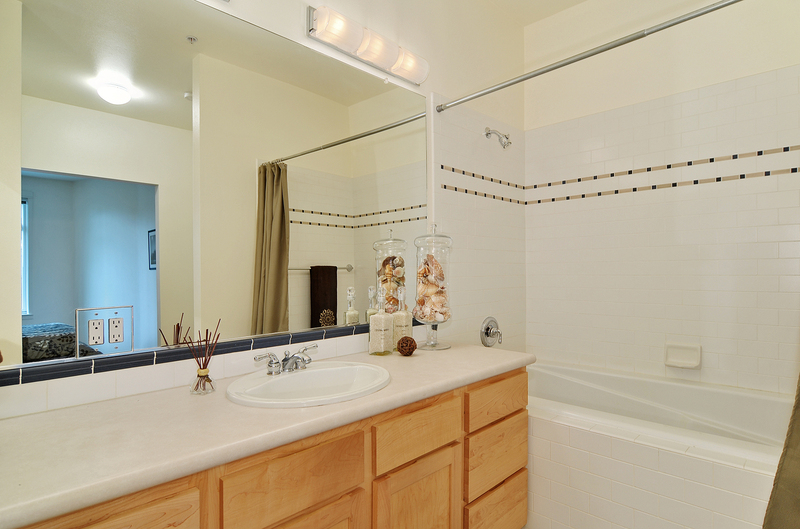 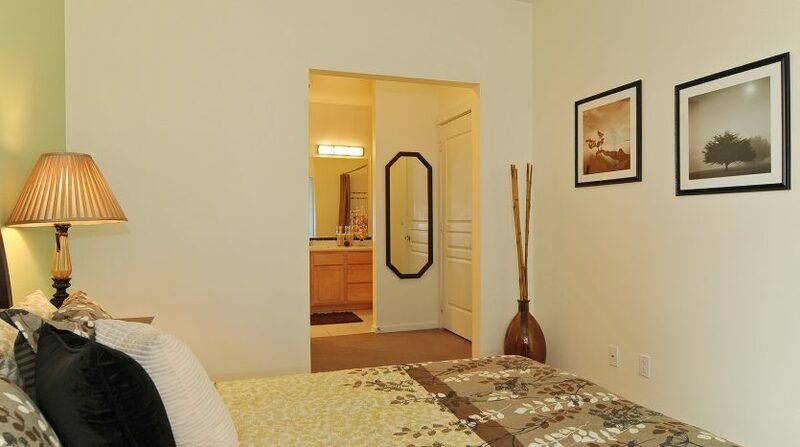 A second bedroom and ¾ bathroom are great for guests. 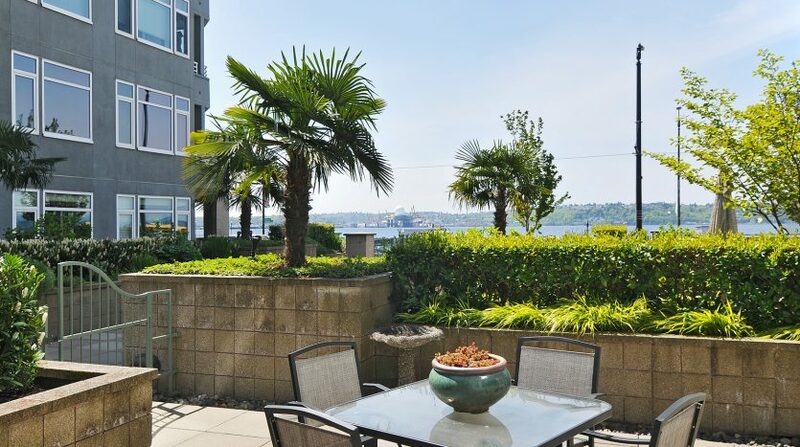 But perhaps the greatest feature of this home is the 250+ square foot patio with space for grilling, planting, and gatherings and all this with a view of the Sound!